at the Bethel Police Station groundbreaking ceremony at the police station future location on Judd Avenue in Bethel, CT, May 10, 2017. Larry Craybas, 77 of Bethel, lost his courageous battle with leukemia on Saturday, April 6, 2019 at Danbury Hospital, surrounded by his loving family. Larry was born in Syracuse, New York and graduated from Syracuse University, majoring in business. While at Syracuse, on a 4 year scholarship, he lettered in both baseball and basketball. Larry and his family moved several times across the country during a successful 28 year executive career with Kraft General Foods. The family settled in Bethel where they resided for nearly 40 years. After retirement, Larry made a huge impact on Bethel’s Educational System, serving as Vice Chair for 2 years and Chairman of the Board for 8 years. He was totally committed to the Bethel Schools and his main goal was to provide a quality education for every child. He was instrumental in acquiring approval for the renovations to Rockwell and Johnson Elementary Schools. Dedicated to his community, Larry volunteered his time with Bethel’s Visiting Nurses Association, C.E.R.T. (Community Emergency Response Team) for the Bethel Health Department, was a longtime member of St. Mary Catholic Church serving both as a lector and eucharistic minister, and other local non profit organizations. Larry’s retirement hobbies included cooking and creating a family cookbook, boating on Candlewood Lake, hunting and fishing with his sons and grandchildren and participating as a member of Bethel Fish and Game. Larry also was the Gift Cottage’s resident landscaper and took great pride in the mandevilla, roses and flowers. His reward was the many compliments and conversations he encountered while gardening and his payment was made with chocolate truffles. 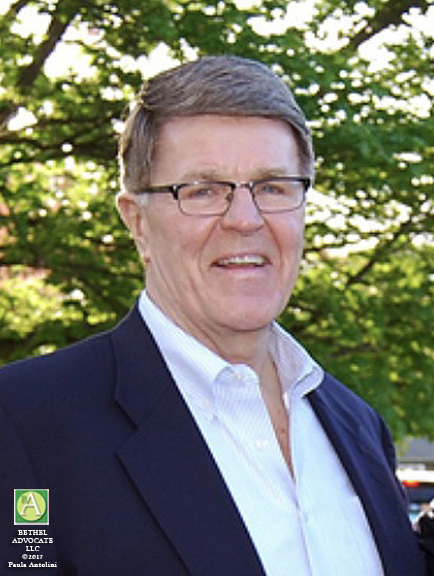 A devoted family man, Larry was most proud of his bond with his grandchildren and attended almost every musical, dance recital, plays and sporting events over the years…he was their biggest mentor and cheerleader. Larry is survived by the love of his life, his wife of 55 years, Joan. His children, Terri Cardile, Bob (Karen), Dr. Gregory (Suzanne) and Doug (Alicia) and his grandchildren: Frank, Zachary , Jenna, Jake, Hannah, Evan and Matthew. Larry is also survived by his brothers, Dr. Norbert Craybas (Camille) of East Greenwich, Rhode Island and Dr. Richard Craybas (Fran) of Marcellus, New York, brother in law, Ken DeFabio, sister in laws, Dorothy DeFabio and Bonnie Hanyak and several nieces and nephews. He was predeceased by his parents, Dr. Sigmund and Bertha Chrabasz. A celebration of his life will be held at St. Mary Catholic Church, 26 Dodgingtown Road, Bethel on Monday, April 15th from 12:00 – 2:00 PM and 4:00 – 8:00 Pm. A Mass of Christian burial will be celebrated Tuesday, April 16th at 11:00 AM at St. Mary Church. Immediately following the service, a gathering with be held in the Parish Hall. In lieu of flowers, his family requests donations to the Bethel High School Scholarship Fund, In memory of Larry Craybas, 300 Whittlesey Drive, Bethel, CT 06801 or the Scotty Fund , P.O. Box 1080, Bethel, CT 06801. As a family we will be holding a future blood drive as a thank you to the American Red Cross. A special thank you to Dr. Rella, the resident Doctors, the phenomenal Nurses and awesome hospital staff at Danbury Hospital’s Oncology Floor and Sloan Kettering in New York for their attentive and compassionate care. Larry Craybas, age 77 of Bethel, CT died Saturday, April 5, 2019. He was the husband of Joan A. Craybas. The family will receive friends at St. Mary’s Church, Bethel, Monday (April 15) from 12:00 – 2:00 PM and from 4:00 – 8:00 PM. A Mass of Christian Burial will be celebrated at St. Mary’s Church, Tuesday (April 16) morning at 11:00, followed by a reception in the church hall.